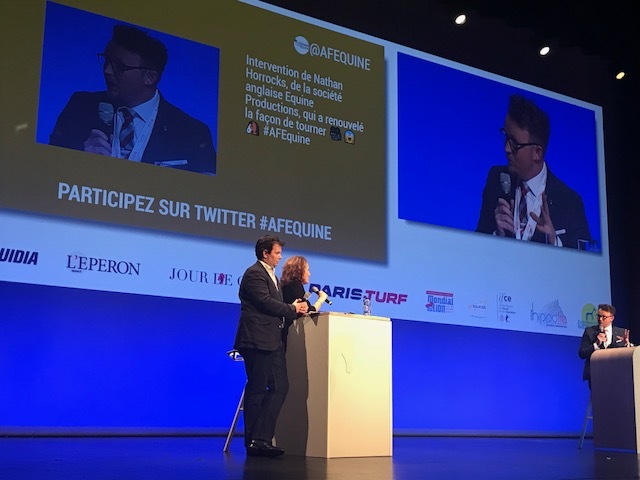 EP Visual Director, Nathan, was invited to the Assises de la filière équine – an international conference at the Congress Centre in Angers on new innovation within the equine sector. The day was full of debates, round tables and interviews with experts and entrepreneurs from all areas who came together to share their ideas and knowledge of running a successful business in the equine industry. Nathan spoke about the success of EP, which was born out of a desire to serve the equine world with creative films and cinematic production, as seen with other extreme sports. With a vision to portray the sport in a fresh light, engaging those familiar and unfamiliar with the equine world through the use of film, EP has helped place the equine world on a previously untapped creative platform. During the speech, the audience were played the following short clip by EP – they were completely blown away and Nathan received numerous compliments afterwards. Thank you to Fabien Cailler for the invite and to the organisers of Assises de la filière équine for making this event happen.